Having recently returned from my research stay at Pedagogical University of Maxixe, Mozambique, it is interesting to look back and realize the impact of this research stay towards problem/solution-oriented sustainability research. When I originally applied for the YEEES Master Grant, I knew that this could offer me an opportunity to work with different stakes in Mozambique whom I shared very similar research interests and methodologies. Moreover, I managed to travel around the country and few neighbouring countries. This was a great opportunity to discover how pioneers in agribusiness have addressed the challenges of small-scale agripreneurship. With more than 60% of its people living in rural areas, Mozambique’s economy is inherently dependent on agriculture. However, agricultural productivity still remains far from developed world standards. Over 90% of agriculture depends on rainfall, with no artificial irrigation aid. The strategies used to manage their business are still far behind from what has been adopted in other continents like Asia, Europe and Americas, lacking not only irrigation, but also basic managerial skills and financial knowhow. Agriculture in Mozambique also experiences basic infrastructural problems such as access to markets and financing. Although research aimed at producing drought and pest tolerance has become intensified in the last 3 decades, these developments have not always reached the small-holder farmers or have been inadequate. Pests, particularly arthropods and vertebrates continue to ravage the crops and without proper crop protection systems, farmers shall lose all or a large proportion of their crops. These consequences are unacceptable and call for the need to develop pest management strategies, which are appropriate, hence sustainable, and cost effective in maintaining the pest population below the economic thresholds, while at the same time conserving the environment. African smallholder farmers who depend on agriculture as their source of livelihood suffer the impacts of a changing climate, such as drought and extremely high temperatures, increased water shortages and food insecurity. Ensuring that they have access to new technologies would help them to improve agricultural productivity and increase their resilience to the impact of climate change. Partnerships between microfinance banks, universities and local farmers aimed at developing innovative climate-smart technologies should be established to counteract the impacts of climate change. 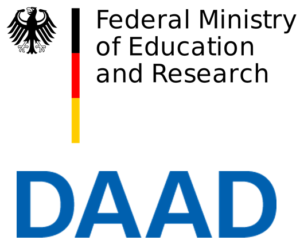 I would like to take this opportunity to express my gratitude to DAAD. I do not believe that I will adequately be able to put into words how much receiving this grant means to me. Thanks to DAAD support, I managed to complete my field research without worrying about the financial issues during the phases of data collection, which is a great relief. Your donations clearly provide tremendous assistance for emerging scholars and promote their contributions to sustainable development.